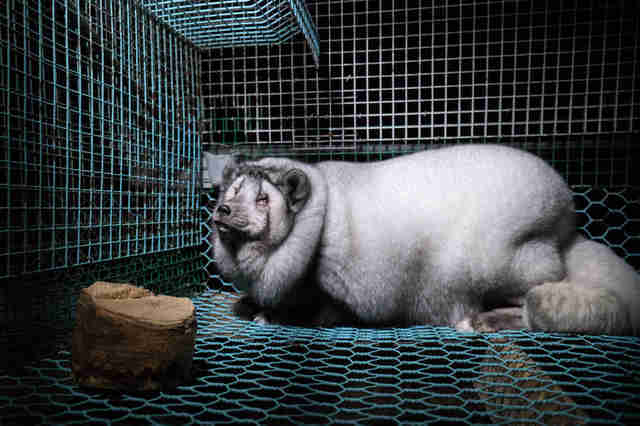 The Arctic foxes look dangerously obese. Dense rolls of skin cover their bodies like heavy blankets, making it difficult for them to move. Their tails are unusually thick, and their faces are squashed between folds of fat. These foxes could easily pass for creatures in a medieval fairy tale — in fact, one Swedish journalist dubbed them “monsterrävar,” which translates into English as “monster foxes.” But they’re actually real. 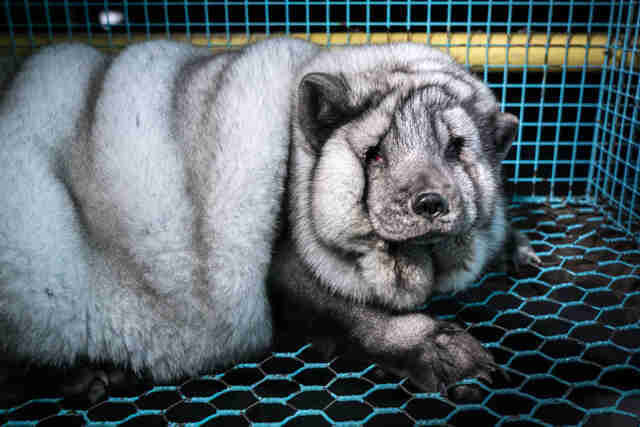 Fur farmers in Finland are deliberately breeding foxes to have extra large skin, according to Oikeutta eläimille, a Finnish animal welfare group. Why? 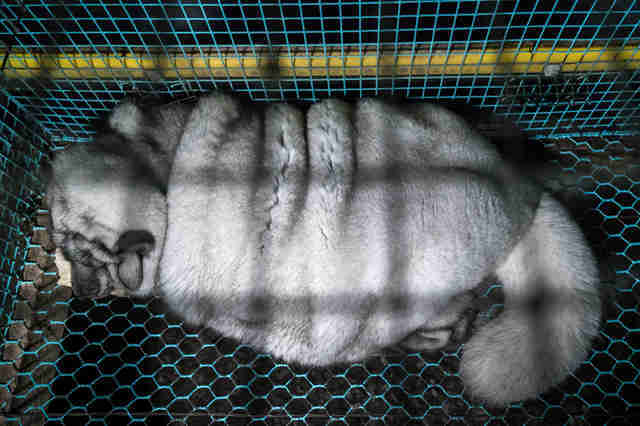 So the farmers get more money for the animals’ fur. 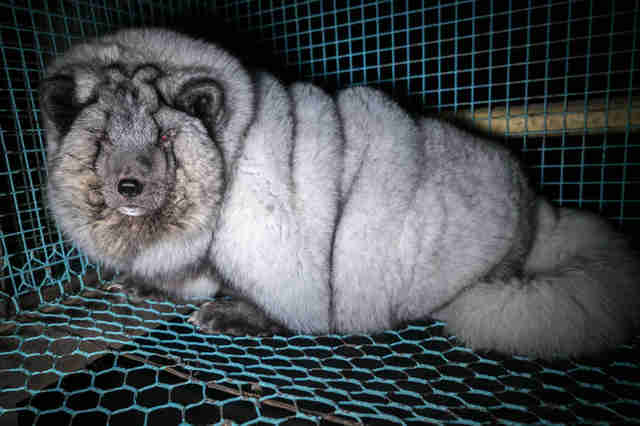 There are over 900 fur farms in Finland, according to Muurimaa, and it’s a common practice for farmers to breed foxes to have extra rolls of skin. Muurimaa bases this assumption on the fact that Finnish auction houses frequently sell large skins that match the dimensions of these so-called monster foxes. 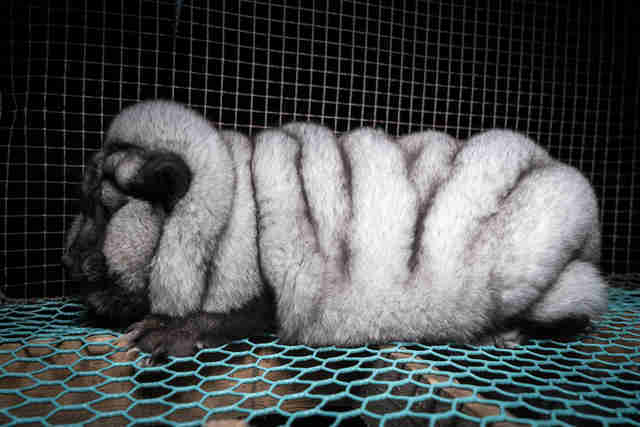 But the animals pay a huge price for their fur — their extra rolls of skin lead to many health issues that cause them to suffer more than they already are. Not only do they have trouble getting around, but they can’t see very well. “They have all the same health problems that obese people have,” Muurimaa added. 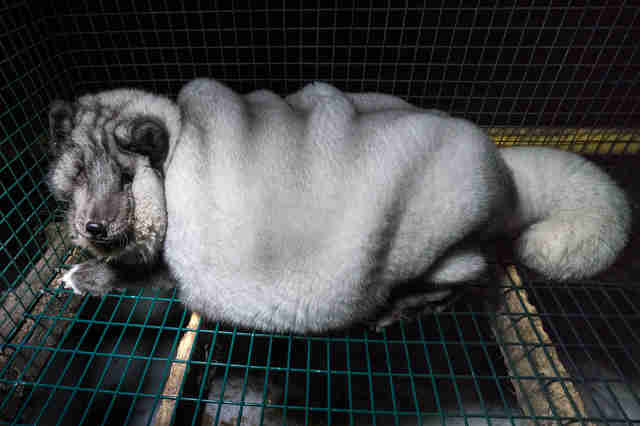 Animal breeding that causes pain and suffering is actually prohibited under the Finnish Animal Welfare Act, yet this practice has yet to be stopped, Muurimaa explained. 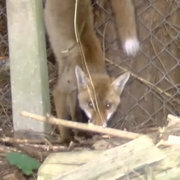 When foxes like this are raised for their fur, they’re usually killed when they’re less than a year old. But animals used for breeding purposes are kept alive longer — and Muurimaa believes the foxes in the photographs are male breeders. When the foxes are eventually killed, they go through a tremendous amount of pain and suffering — farmers often kill them through electrocution by inserting electric prods into their mouths and backsides. Farmers prefer this method because it’s inexpensive and it doesn’t damage the fur, according to Muurimaa. 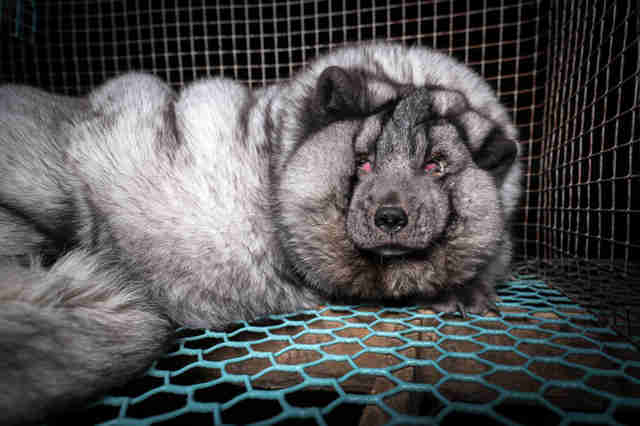 Once the animals have been killed, their fur is sold under the Saga Furs brand, and manufactured for major clothing brands like Louis Vuitton, Gucci and Michael Kors, according to Oikeutta eläimille. Saga Furs could not immediately be reached for comment. Fortunately, there are ways you can help these foxes — and prevent more animals being bred this way. 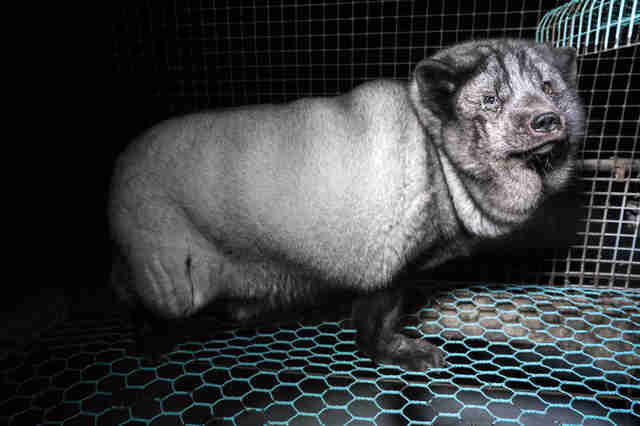 To urge Mr. Jari Leppä to put a stop to selective breeding at Finnish fur farms, you can send him an email or message him through Twitter.